Calling it a night in? Prepare an easy snack to munch on with friends. 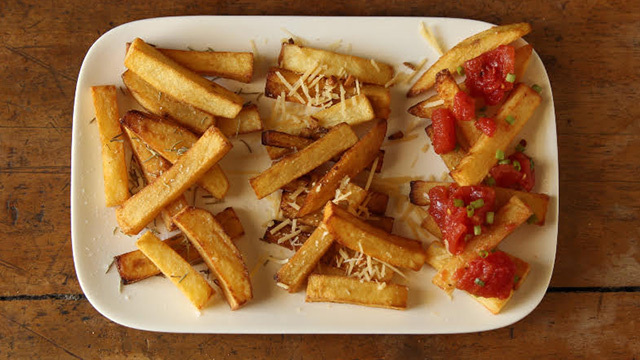 This french fries snack is topped with fun and bright Tex-Mex flavors. Don't forget the cheese! Top prepared frozen french fries with salsa, Cheddar or pepper Jack cheese, and 3 green onions, white and light green parts only, thinly sliced. Recipe originally published in the June 2014 issue of Good Housekeeping Philippines.